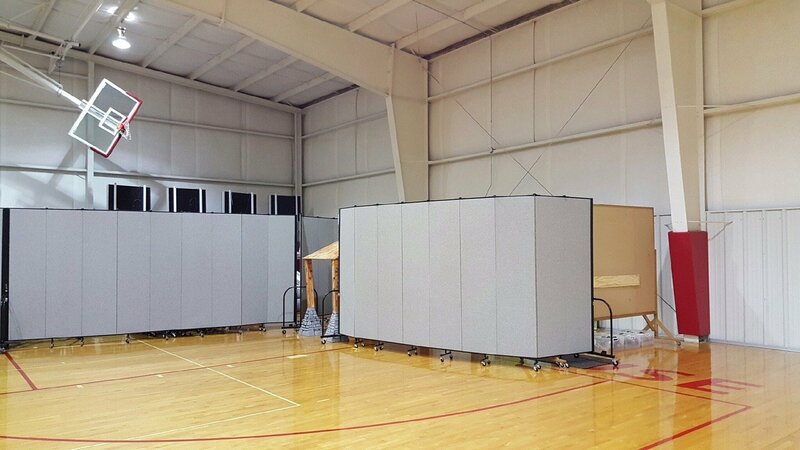 Uses: Education, Gymnasium Colors: Gray/White Lengths: 9 panel 16'-9" Heights: 8'-0"
For three years Voice of God Recordings in Jeffersonville, Indiana has used Screenflex Room Dividers to dividers within their main facility. 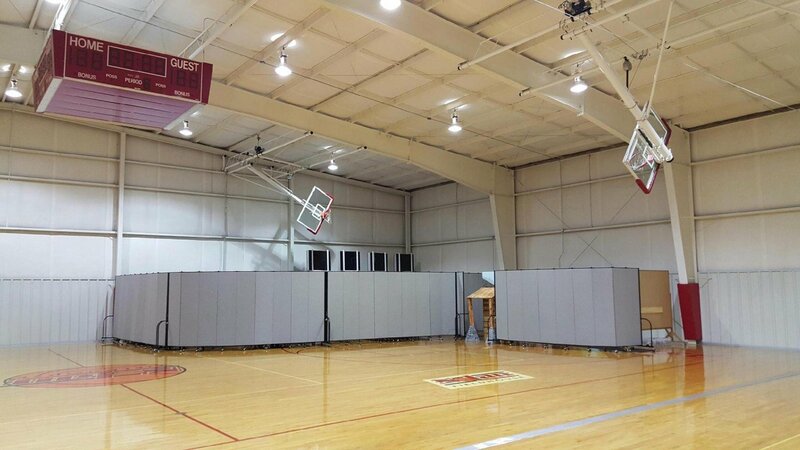 As their ministries have continued to grow so has their need for space. 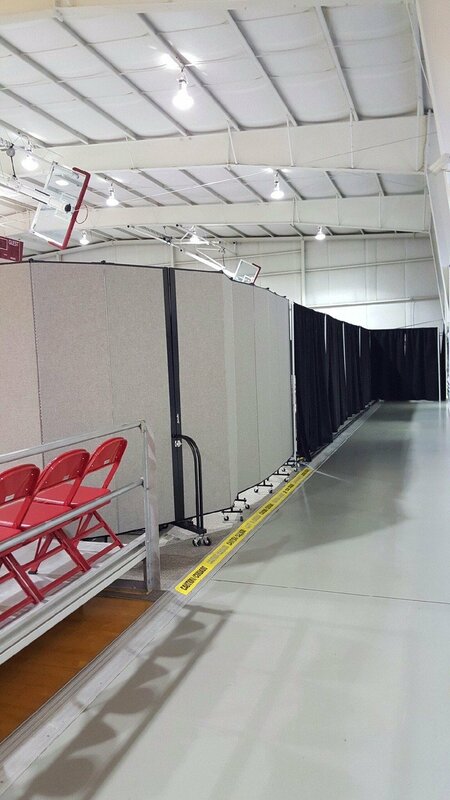 After procuring a new space for their youth, the staff knew exactly where to go to purchase room dividers. Screenflex! 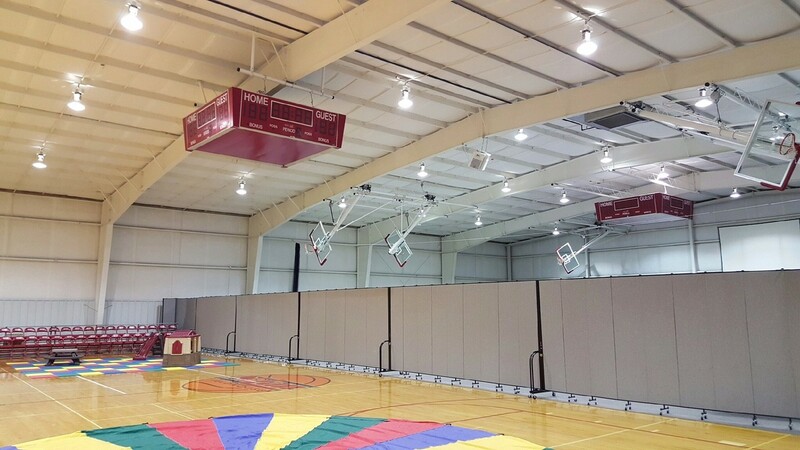 Since the room dividers were being used in a large gymnasium, they purchased 8’0″ gray room dividers to create private classrooms for their classes to meet and play in.